Grassroot Organics On-Farm CSA Program. 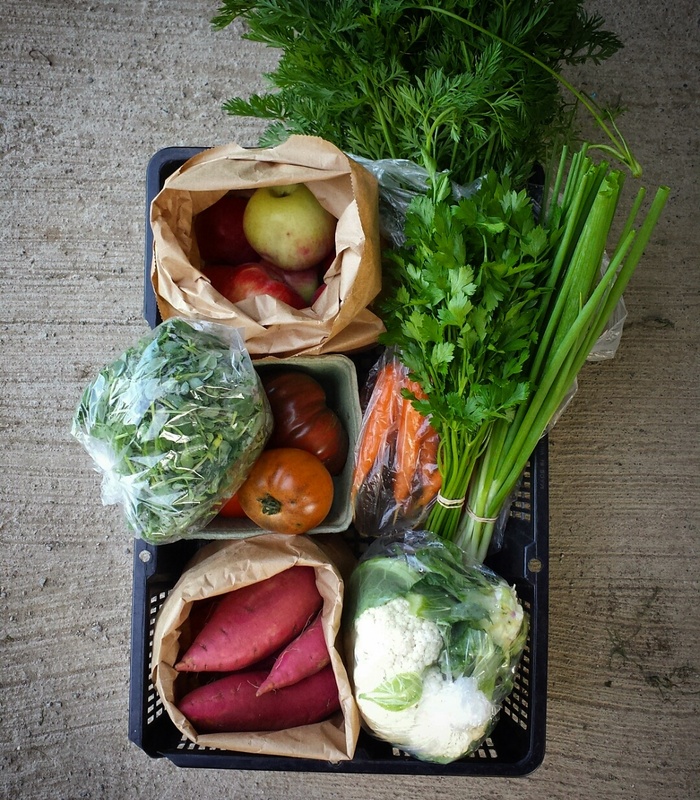 Grassroot Organics is revamping our weekly produce box program at our farm in Woodville. Grassroot Organics has been supplying Toronto’s best chefs/market goers with the best produce possible for over 10 years, and we are now offering our produce locally to serve like-minded folks in the K’Lakes. Grassroot Organics is small-scale, mixed agriculture, multi-generational, family farm in Woodville. We have been growing organically for over 15 years- we ain’t new to this! We also provide sustainable farm consulting and teach in the Sustainable Agriculture program at Fleming college. Up until this point we have been marketing direct into Toronto at the Brickworks Farmers’ Market and to fine dining restaurants such as Edulis, Buca, Cava, ‘KB’, Café Belong, Ascari, Burdock, Actinolite and many more. You will receive A $30 box of the FRESHEST organically grown produce every week. The produce will change from week to week as different veggies/fruits come into season. In 2017, we plan to grow over 50 varieties of vegetables – so there will be plenty of variety. This 17 week CSA program is $510. Check out our what’s in the box post to get a picture of what you expect in your weekly shares. CSA stands for Community Supported Agriculture. The eater (you!) pays for their produce in advance. This helps the farmer plan the season. In turn, the farmer provides ultra-fresh, high-quality produce each week. This arrangement fosters direct relationships between the farmer and the consumer, allowing you an opportunity to provide feedback, arrange for farm visits, and to get to know the farmer that grows the food that your family eats daily. The season will be from June 16 to October 6 (17 weeks total). Pickups are on Friday evenings from 5:30 t0 7pm. Grassroot Organics, 475 Farms Rd Woodville On. Sign up! The total cost for the CSA is $510 paid in one lump sum or 2 payments of $255 due on May 1st and July 1st (post dated cheques are preferred). Laur, what is the nearest pick up to Runnymede and Bloor? And in what day? Thx! Are we able to pick what we get at all? Due to allergies and picky eaters? Of course you can have some say in what you really don’t like. A CSA is not for picky eaters though it is for the veggie adventurous! We will stick to more common veggies- nothing too crazy! Hope that helps.